Last week when we were driving down to LA we stopped at Taco Bell for a fantastic gourmet lunch. We knew we weren’t in Kansas any more when we saw an ATV chained to a sign outside the restaurant. For some reason I found it funny but I have to admit I was slightly jealous I don’t get to drive one to Taco Bell where I’m from. 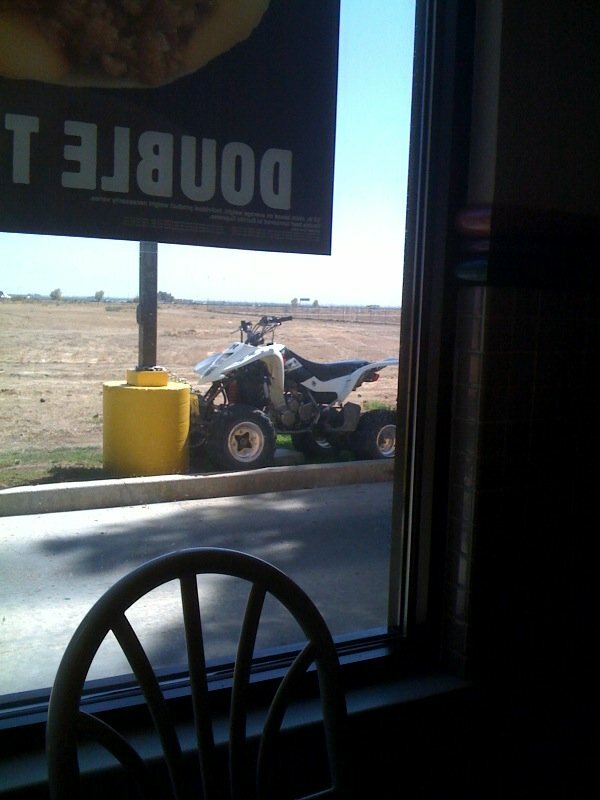 I’ve heard of riding a bike, a skateboard, maybe even a scooter, to a restaurant, but I’ve never seen someone drive an ATV to one!